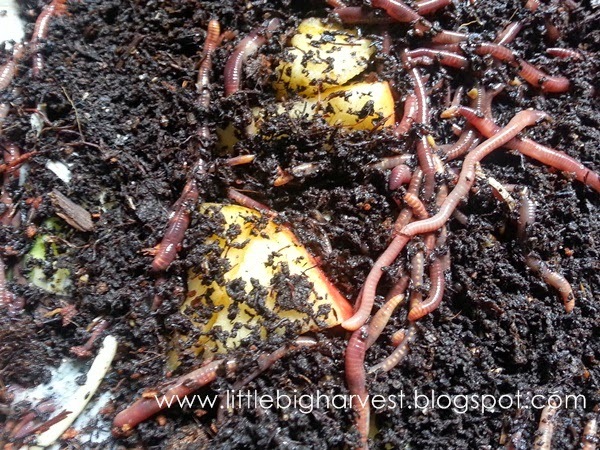 These simple tips will work in any indoor worm bin--homemade or commercial. While encouraging your worms to reproduce, flourish, and continuously devour the food scraps you put in the bin, you also want to keep other critters at bay. So excited when our bin arrived in the mail! 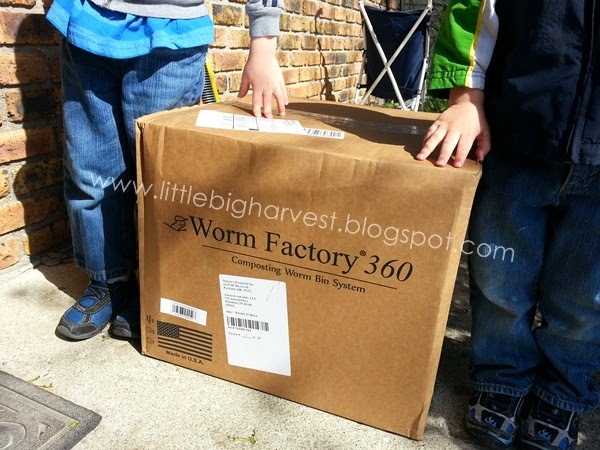 Our worm bin arrived in early May and we started the venture with some trepidation (on my part, at least). We have officially become "worm farmers" and I have to say, we are becoming quite comfortable in the role. We have been watching the bin carefully, not only because we really love watching the little guys burrow, crawl--and in general try desperately to avoid us--but also because we have been trying to make sure we stay aware of any problems that might come up. 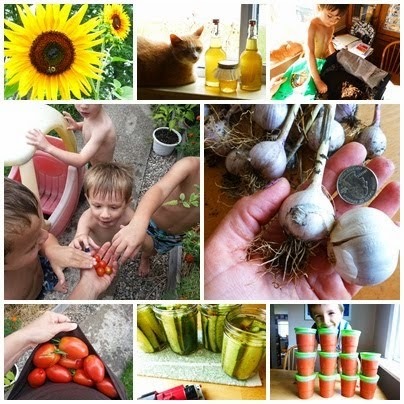 With some time and confidence under our belt, I am certain we could easily manage a homemade bin (see detailed instructions HERE on how you can build a bin for very little money), but I wanted to start out with something tried and true. For over a year, I saved up for this bin . (think of all the time I wasted while saving for it! I am telling you, get started now--make a bin with the instructions linked above!). Our bin came with all kinds of instructions, materials, and even a video, giving us the confidence we needed to jump in. The worms have lived here for three months, and I have to say, they are the most low-maintenance pets I've ever kept. They make no noise, they don't need let out to pee, they don't make messes or chew up our things (except our unwanted food scraps). And, the bin really takes up very little space. They worms do, however, need to be kept 'happy'. Our very first challenge (common to worm bins) came with an infestation of mites. Mites: These suckers are very hard to photograph; they're lightning quick! They are scurrying along the edge of the bin. The mites that tend to infest worm bins are not the same as red spider mites who can be a pest in the garden. There are thousands of types of mites, and several specific types that love worm bins, as I learned from this informative article. Some mites are predatory to worms, but most worm farmers are unlikely to have those types in their bins. Most of the mites found in bins are harmless and may even be seen as an asset, as they help clean up the waste, living in harmony with the worms. The mites themselves are difficult to capture on film. Their eggs are easy to snap a shot of, especially when there are too many in the bin. We had lots of clumps of these (I excitedly thought they were worm eggs at first, but alas, no...mite eggs). Though your bin is an ecosystem that will inevitably include mites, too many of those little mite friends is annoying. More importantly, if they mites are taking over, then the conditions of the bin are probably not conducive to happy worms. While you don't want mites or any other insect taking over the bin, you should focus on the various conditions of the bin itself: such as wetness, light, and temperature. Extra creatures are going to be there. The question is, how many, what kind, and what makes them populate too quickly? Look at your bin as an ecosystem of various creatures, rather than just a system of "waste in, worm poop out". Worms don't live in a sterile, exclusive environment, they interact with countless other creatures, most of them too small for us to see (mites are big enough to see, but tiny enough to not be terrifying when you open the lid and see hundreds of them scurrying around). If another creature seems to be taking over the bin, it is better to focus on the conditions inside the bin that may be encouraging the outbreak. In the case of mites, they don't necessarily directly harm the worms, but in large numbers they may be indicating that the atmosphere of the bin may not be the happiest place for the worms. One huge indication that the worms were not satisfied; they began to escape. Not many of them (unless they crawled to places that I've not discovered), but enough to make me panic just a little. We found 8 dried up dead worms in various places around and behind the bin. Though it was too late for those poor little guys, we actually saw a live one making its way across the carpet, whom we promptly rescued. He may not have wanted to go back, if he had taken all that effort to leave...but, back into the bin he went, and I promised to make his home more comfy. Through a bit of trial and error, and some research, I learned some ways to lessen mite population and make the bin more comfy for the worms. 1. Add Carbon. One source I researched said that your bin should contain about 70% carbon. Our preferred source is shredded paper. We keep a thick layer on the top of the food/worms, occasionally stirring it into the bedding below. The carbon acts as a sponge if there is access water, and if you underfeed the worms, they can turn to the carbon as food, too. Examples of good sources of carbon are; shredded paper and cardboard, shredded leaves, coconut coir, wood shavings or chips, chopped straw or hay, and sawdust. 2. Feed Less. Too much food just invites those mites to keep coming. Worms eat much more slowly than you may think, and I admit we made the novice mistake of overloading the bin with scraps. We now add a few scraps about once a week, making sure to bury them. Scraps to avoid; citrus, onions, spicy foods like hot peppers. Stale pasta and bread is debatable; I've seen advice going both ways. We've been avoiding it for now. *Note that mites adore cucumbers, squash, and melons. If you are trying to avoid too many mites, perhaps throw those in the outdoor compost bin instead of the worm bin. One way to quickly remove a mass of mites if you are into instant gratification--place a hunk of melon or squash in the bin for a couple of days, until it's saturated with mites, then remove the hunk and toss it in the outdoor compost. It's great to watch the worms enjoy the food we give them. But too much of a good thing will invite too many extra friends! 3. Avoid too much Water. No, worms don't drown (my son and I had this debate recently--he won). But they are sensitive to a bin that's too wet, since they breathe through their skin and need a healthy exchange of gases. If the bin's too wet, they will try to leave. Also, a wet bin invites mites by the thousands--soggy conditions are mite's favorite. Don't be afraid to reach in and stir around the bedding and the worms every once in a while to make sure the bin is moist, but not soaked. If it feels too dry, spritz with water, but usually the water from the food will create enough moisture for long periods of time. In fact, many of the foods you are adding to the bin (veggie and fruit scraps) are mostly water. Some worm farmers actually freeze their scraps, then thaw them and squeeze out the extra water to make sure they aren't making a soggy worm bin. I don't know if I'd take that much effort-- but I do make the food easier for the worms to eat quickly by cutting the scraps into small pieces. The faster and more efficiently they eat, the quicker I get those magical worm castings! 4. Leave Lid Off. This advice may have you saying 'eeew', but if you feel like the mites are taking over, open air will help dry the bin. Mites seem to love the enclosed atmosphere of a bin. Leaving the lid off for an hour or so a day may help. Don't worry, the worms won't come crawling out. They avoid a lighted opening for sure! 5. Add Eggshells. If you collect your shells to make eggshell powder (click here to see how), then this is easy; Just get your eggshell powder jar out and sprinkle some into the bin. You won't even have to incorporate or bury the powder into the bedding; the worms will race up to get it within the day. Why eggshells? Because a mite infestation signals that the bin may have become too acidic, and the eggshells will help neutralize the PH level. An added bonus it that worms adore eggshells. The truth is, you should probably get into a habit of providing eggshell powder to the worms on a regular basis. They'll love you for it! 6. Bonus Tip: Find a Darker Space. This advice is not so much to help control the mites as it is to keep the worms happy. I have a feeling that our original location was too bright, so we moved it to a darker corner. We all know that worms do not like light, and the bin is not light-proof. If I had space under the kitchen sink, I think that would be the perfect place for it, but for now the bin lives with us in our living room. Which is actually great for the kids, because they can check on their little friends whenever they want. We keep our bin tucked away in a dark corner. We pull it out into the light when we want to take a closer look at what's going on. Following these steps, we were able to get a handle on our mite situation. Now when we open the lid, only a few mites scurry around instead of hundreds, and the worm bedding is moist but not wet. We love to gently dig in and take a look at our beautiful worms! I doubt that the worms share that sentiment. ;) Still, we will keep them happy, and they will help US keep the garden happy. Thanks! I've got a mite infestation - so more carbon and more PH conditioner, less feeding. Thanks again! Good luck! Keeping a nice balance keeps the worms happy! I had same problem one year ago, but what about the tiny white mites? 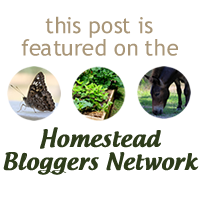 This is a powerful post, thanks for share. n fact, many of the foods you are adding to the bin (veggie and fruit scraps) are mostly water. Mark Hutchinson is a very experience man which is working in wild life field from many years. I have these pesky white mites on my bin, the food has been removed, bin washed through, sprayed with fabric spray and deodorant. Will this move and rid the problem? If yes, how long will it take? This was a pretty informative article on mites. I have a couple more observations. Mites are pretty normal in a worm bin and not generally a problem. Wet bins are their favorite habitat. A slice of bread on top of your bin will attract mites and then you can take out and throw away. Drying your bin out, adding more bedding material, and the occassional slice of bread will keep these pesky critters under control. Nice website! Thank you so much for the additional tip about bread, Rick. I will definitely be trying that, and perhaps adding it to my article. So glad you stopped by!